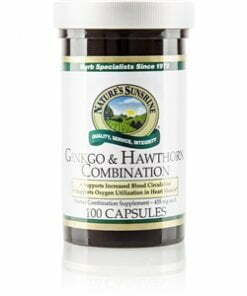 Nature’s Sunshine Ginkgo & Hawthorn Combination, popular in Europe, provides support for the circulatory system. These two herbs work together to increase blood circulation and to optimize the amount of oxygen used by the heart muscle. 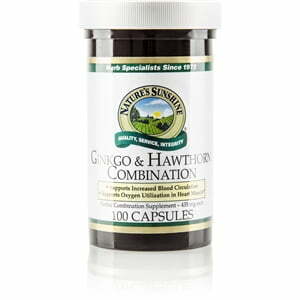 The addition of olive leaf extract to the Ginkgo & Hawthorn Combination offers further circulatory support.